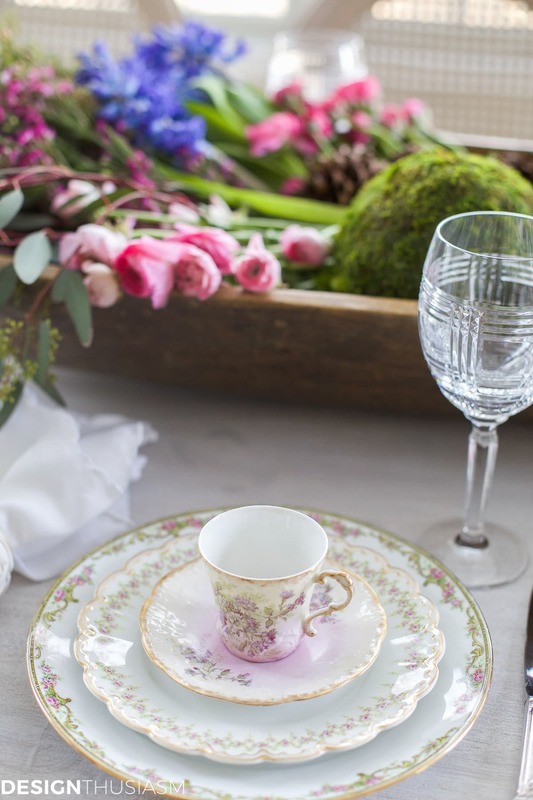 In this post: If you’re looking for vintage party ideas, this brunch tablescape mixes antique china patterns with jewels for feminine style. Do you ever wonder why you love the things that you collect so much? 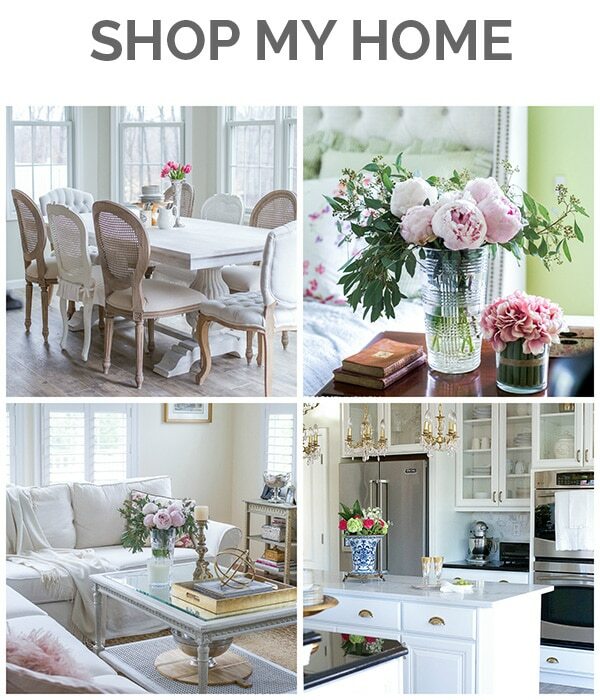 I have no idea where my love of vintage china came from, but it certainly embodies my decor style. Perhaps it reminds me of the pretty floral patterns from my childhood, or of the wonderful antique shops I’ve visited in my travels. 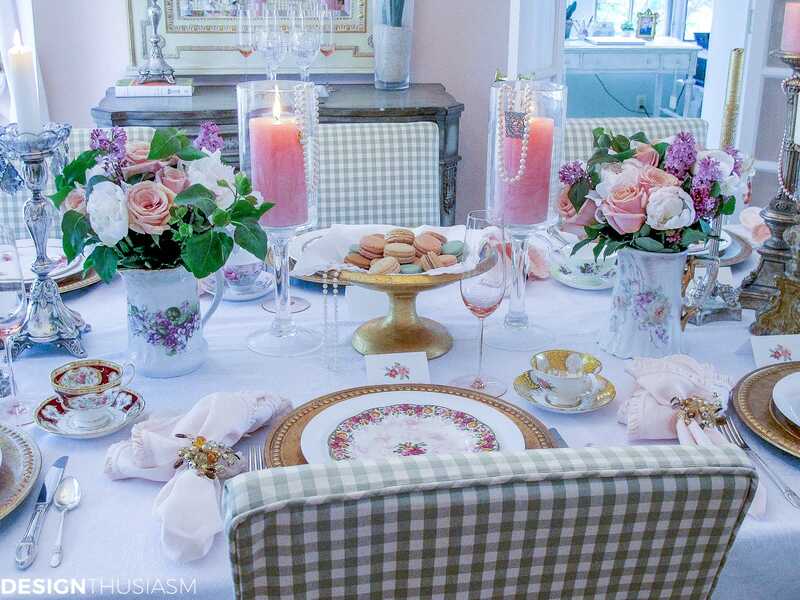 What I do know is that the essence of my style, the very thing that defines it, is a bold mix of old and new, classic meets elegant, and one of the easiest places to showcase it is in a table set for brunch. 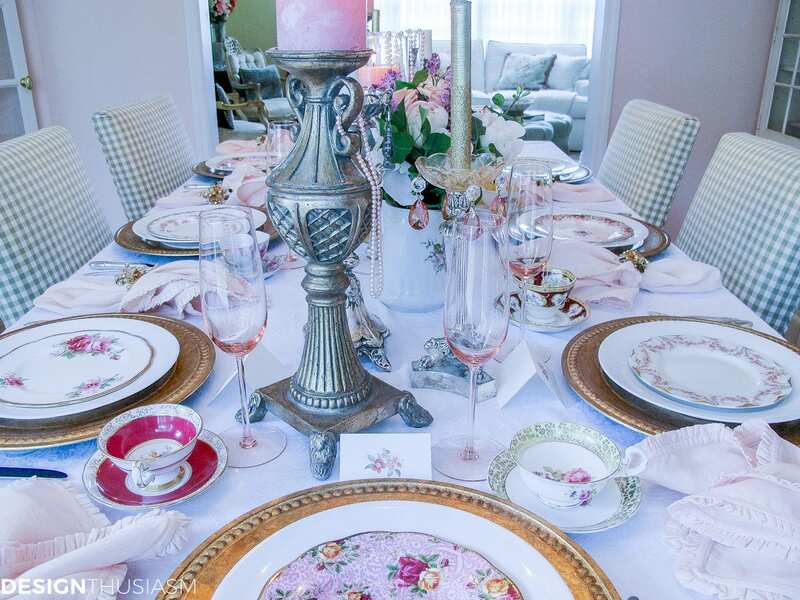 This setting hinges on the concept of mis-matched vintage china in a range of feminine pinks, and playfully mixes with it feminine jewelry. 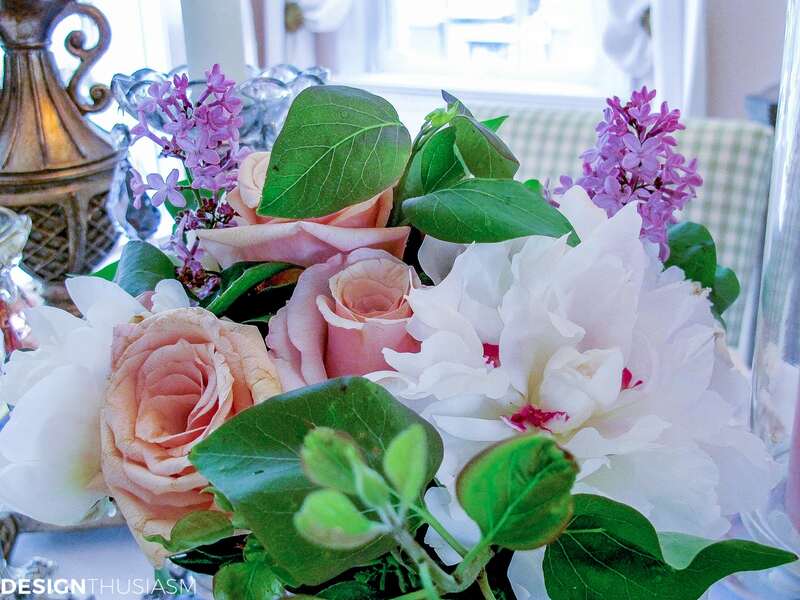 The floral arrangements include my beloved peonies, along with blush roses and delightful lilacs. 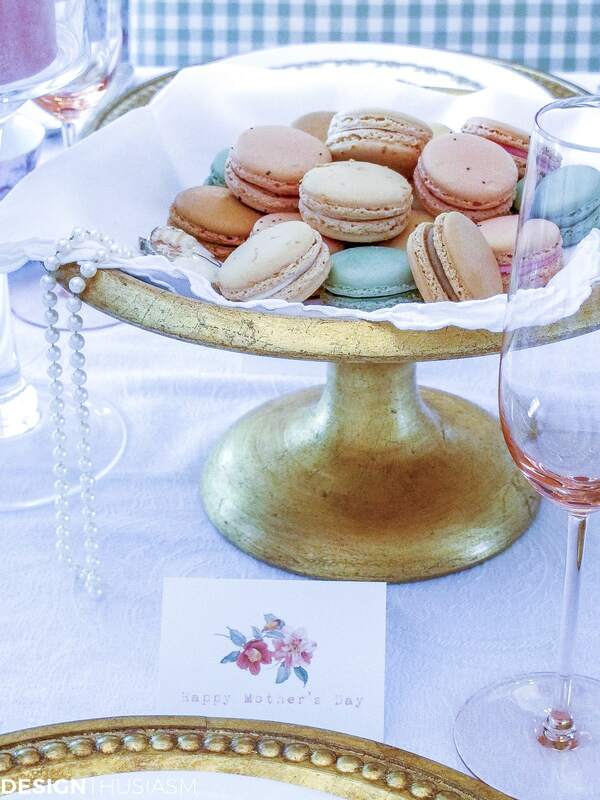 At the center of the table I placed French macarons in my color palette, along with draped pearls and a cameo. The place cards I made to match the delicate flowers found on the china. You can see the mix of varied patterns, unified mainly by their adherence to the floral theme and a general spirit of a garden toned color story. 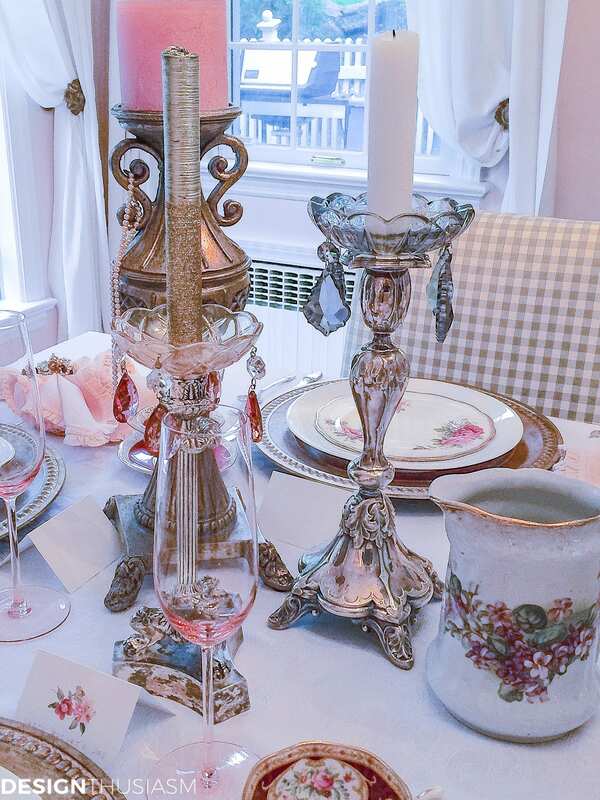 The blush stemware is at the ready for wine and champagne, while the teacups await their elixirs, as well. Jewels are draped amongst the candlesticks, calling to mind a woman’s dressing table. 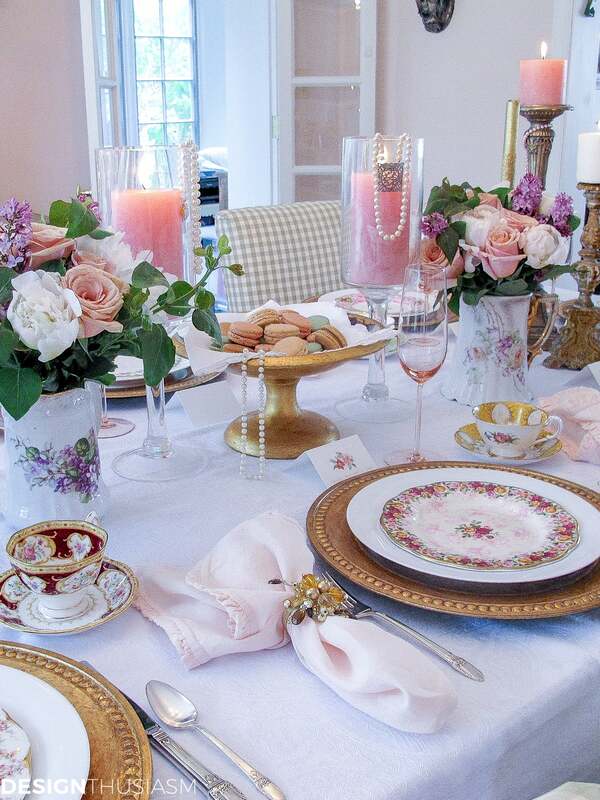 The arrangements are displayed in floral china pitchers while varied candlesticks light the scene. 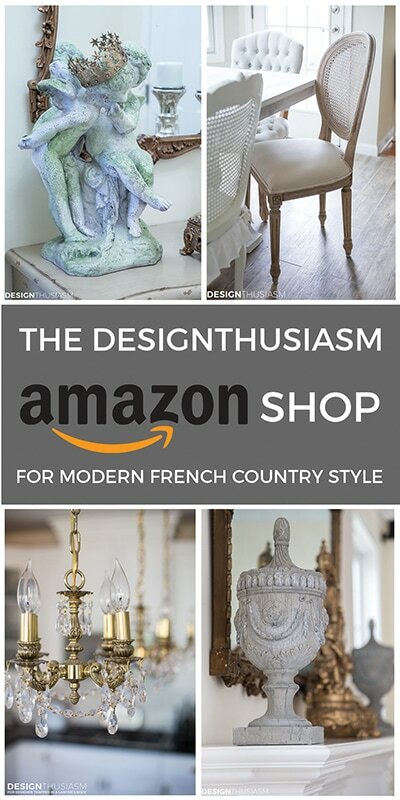 Each setting presents a new surprise, as no two are alike. 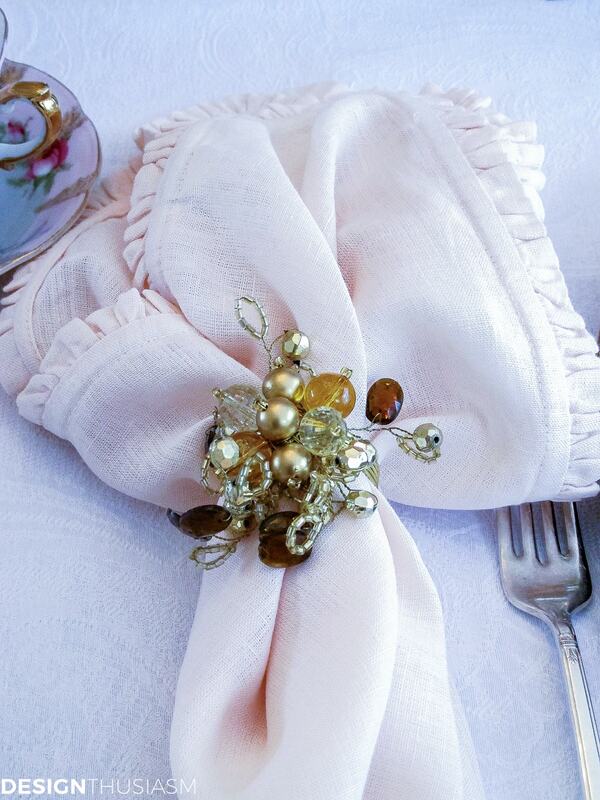 Bejeweled napkin rings add a note of glimmer. 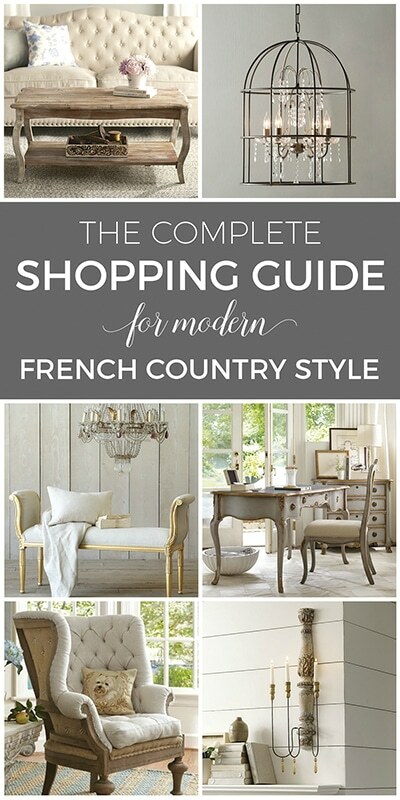 Most of the china was purchased online or at antique shops here and abroad. Gilded chargers with a beaded edge ground the whole setting. A touch of yellow adds a sunny effect and the gilding and the floral detail tie into the theme. 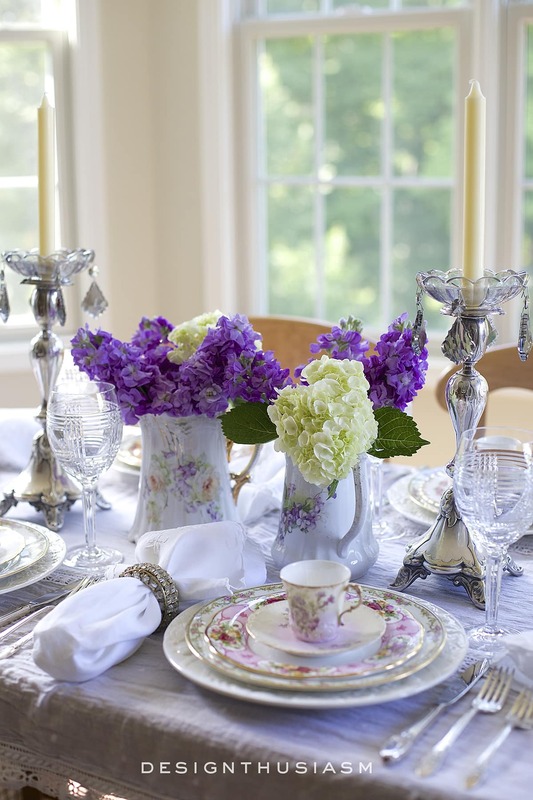 The white damask tablecloth is a subtle yet elegant underpinning for the table. This table certainly comprises so many of the things I love to collect, from floral china, to gilding, to white linens and silver pieces. 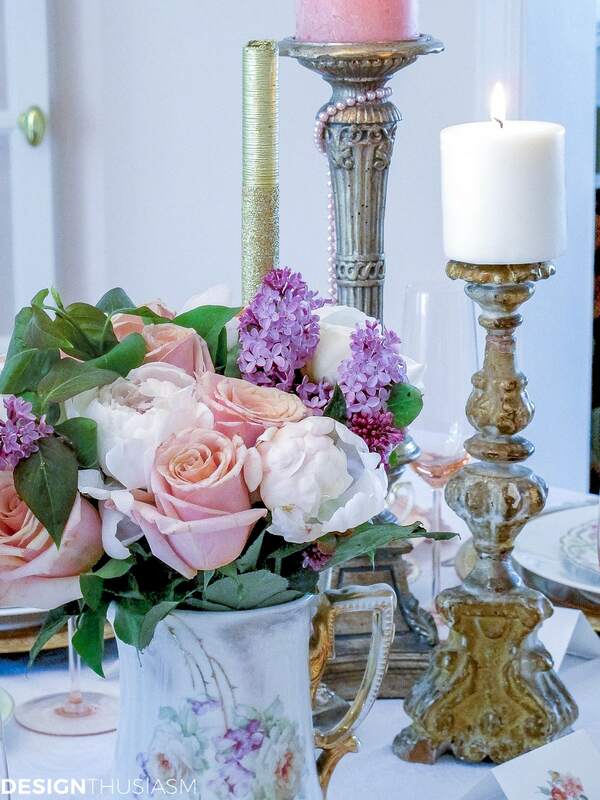 If you’re looking for vintage party ideas, my best advice is to cull together the best of what you love to collect and mix it all up in a creative and cohesive way. What a pretty table. 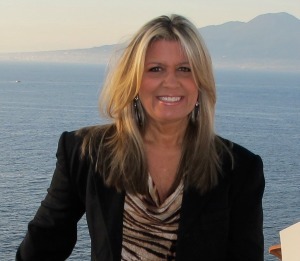 I love the pearls accents…very unexpected and very elegant! Fabulous! Gorgeous table. I love all the vintage china. I have some of those same plates and I love each and every one. I think food just tastes better on a pretty plate. 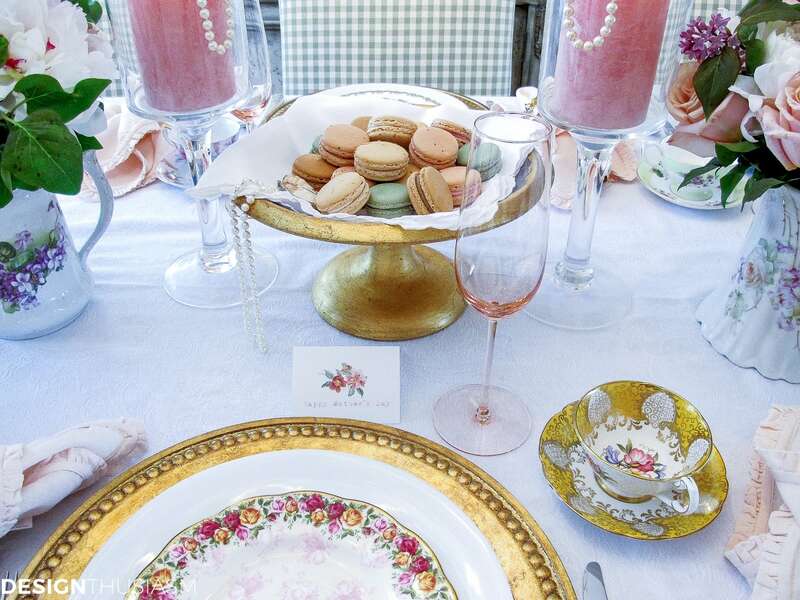 Love all your beautiful cups, saucers and plates. 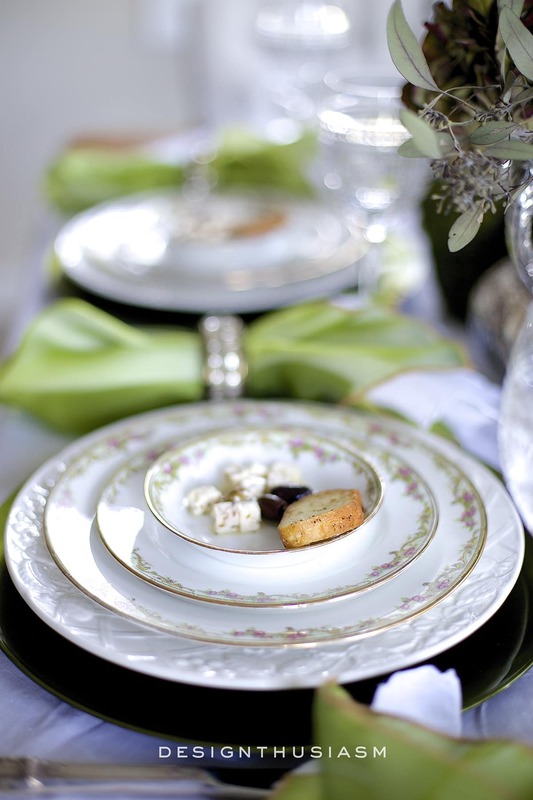 The lovely green check on your chairs is a perfect compliment to your lovely table. New here today! 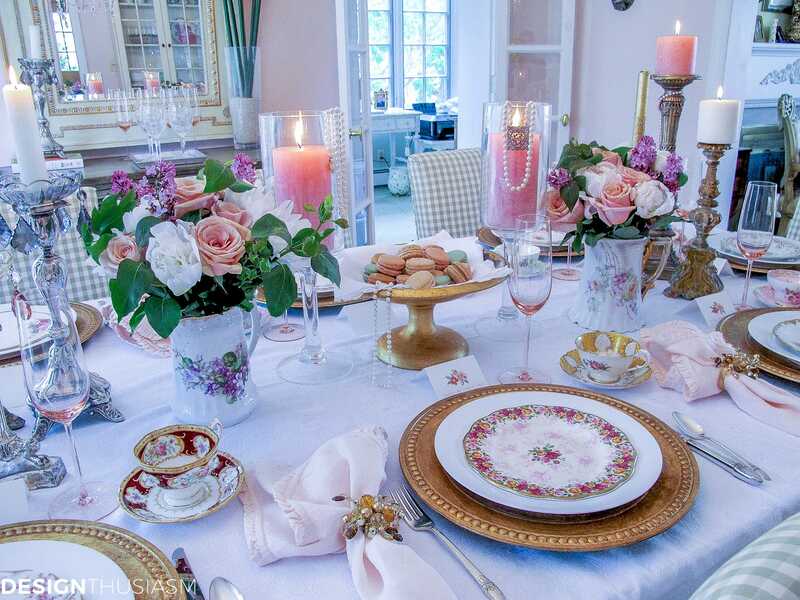 LOVE your beautiful vintage table setting, and yes all the beautiful china. Finally, I have found a site that is right up my alley. Can’t wait to look around and see what else there. Love it! Ah, welcome, Charlotte!! So nice to have some new readers today… 🙂 Please take your time and look around. There’s lots more coming. Thanks for stopping by and taking the time to say hi!! This was a beautiful table. 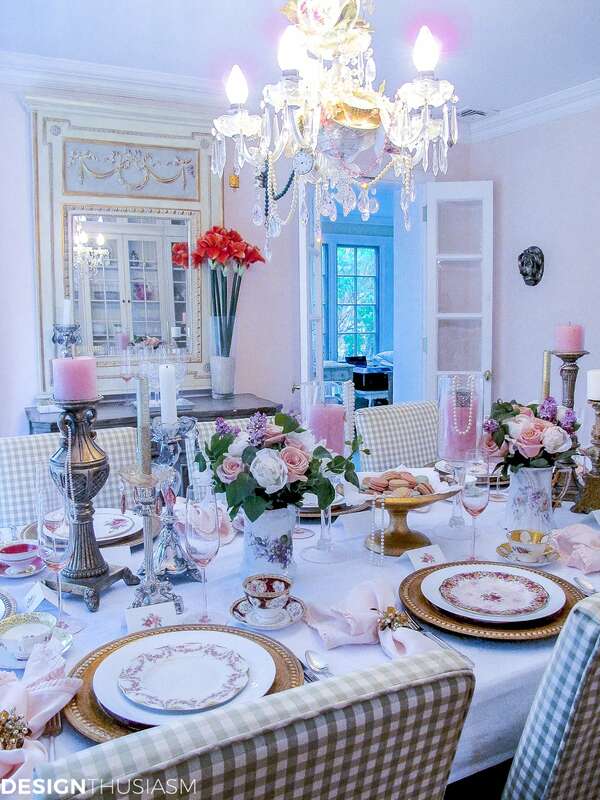 Love the pretty shades of pink and the different china patterns. Thanks, Liz! 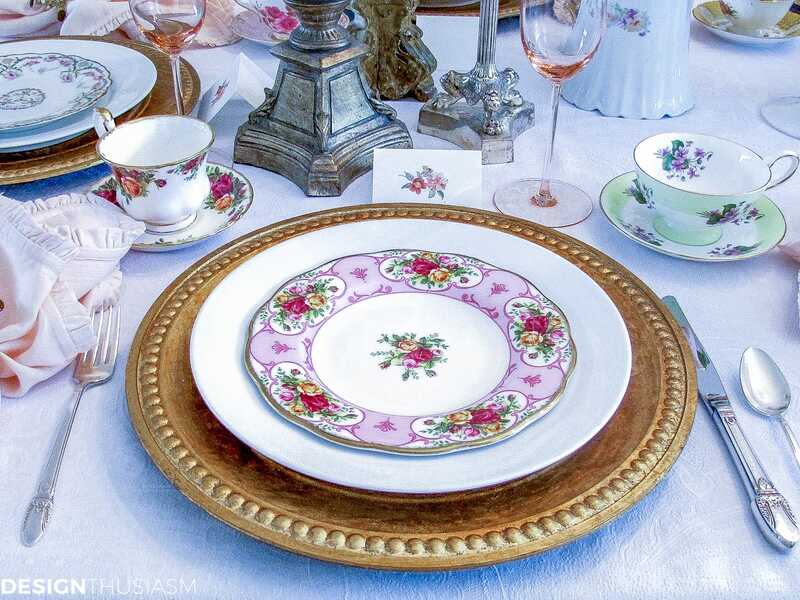 I always come back to the mis-matched china look because I love the florals and the vintage-y look. I think about this one every year on Mother’s Day. May try to update it this year… 😉 Thanks for visiting!! 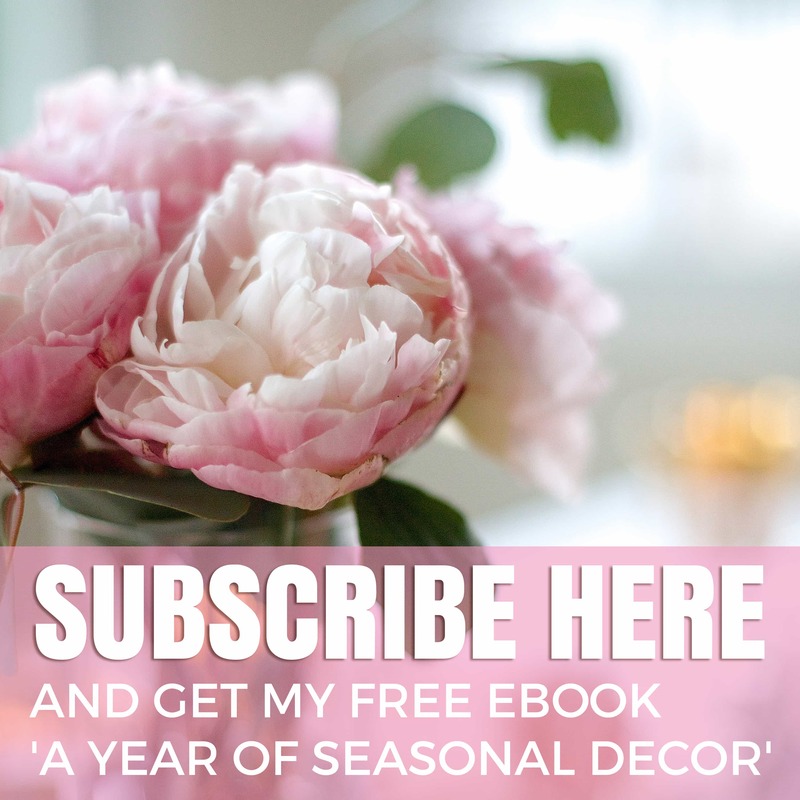 Lovely – vintage pinks are my favourite and mismatched is so cool.